Gorgeous new swing dress from H&R London! 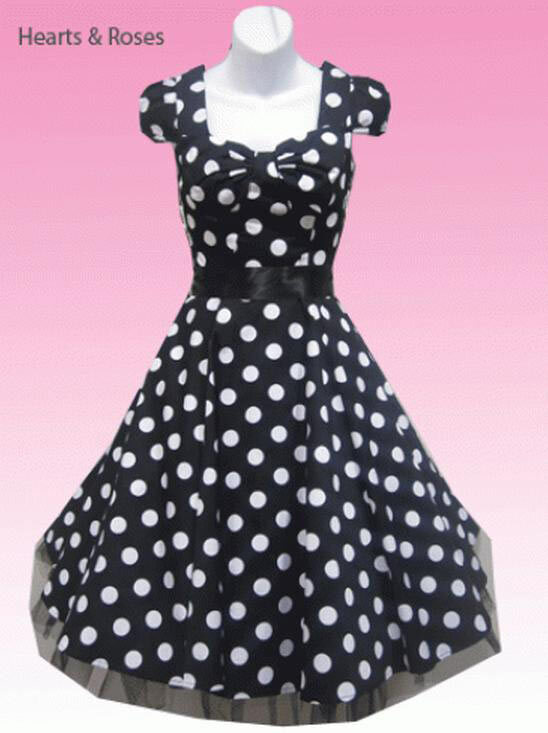 It is a black almost full swing dress with large white polka dots. It features capped sleeves, hidden side zip and form fitted bodice. It has a built in petticoat (but you can always add another crinoline to make it fuller! ), and thick ribbon removable tie belt.